The cooking team of Don Safford, Bill Chalberg and Susan Newman returns for more Home Cookin’! All are invited to join us for this special family meal between 5:00 - 6:30 p.m. Cost is only $6 a meal. Please register by emailing John Smoke at john@dgfumc.org. You may pay that day. Please join us on Rally Day as we kick-off our new year of Sunday School and prepare to make a difference as a congregation in the coming season. At this time, we will return to our 8:15 a.m. worship service in the Chapel. We will be combining our 9:30 and 11:00 a.m. services into one Together @ 10 service at 10:00 a.m. in the sanctuary. There will be no Sunday School this day as families are encouraged to worship together. Sunday school will begin on Sunday, September 17 at both the 9:30 and 11:00 a.m. services. We will continue our fellowship after services as the Children & Family work area has reserved the Tivoli Movie Theater for our Rally Day celebration. Everyone is invited to attend Sing, which will be shown at 1:30 p.m. Each child (12 and under) who attends church that morning will receive a coupon for a Kiddie Combo (box with popcorn, snack and drink). The concession stand will also be open for anyone wanting to purchase snacks. The doors open at the Tivoli at 1:00 p.m. Wacky Wednesdays is a summer program for children going into kindergarten through 6th grade! The mission of this program is to bring children together for a lot of fun and fellowship in a church community. Every child is welcome. Invite your children, grandchildren, children in your neighborhood, and children of friends---ALL CHILDREN ARE WELCOME! The program will meet on Wednesdays from 6:30 to 8:00 PM and there is NO cost! Parents are welcome to drop off their kids OR stay and enjoy the fun! 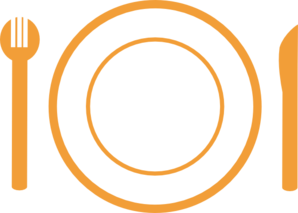 Children are encouraged to bring one non-perishable food item each week to be donated to the People's Resource Center. July 11: Bingo Night and Toy Exchange! Every child that attends this evening will need to bring a used (still in good condition) toy that they would be willing to give up. All of the toys will be used as prizes for the bingo! Everyone will leave with a “new” toy!!! July 18: Summer Movie Night! Come join us for a fun movie and treats! You're welcome to join us for one Wednesday or come each week - whatever fits in your schedule! For more information contact John Smoke at john@dgfumc.org or 630.968.7120. Join us this August for Hero Central. Children will go on awesome adventures alongside some of their favorite Bible heroes and discover the qualities that make us truly heroic in God. 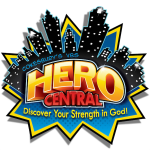 Hero Central uses epic music, spectacular science, crafty crafts, heroic recreation and fantastic Bible stories to help kids discover their strength in God! Children entering Kindergarten through 6th grade are invited to attend. The cost is $15 per child or $35 per family with three or more children. Cost includes all materials and a pizza lunch with a short program for families on Thursday, August 3, at noon. Adults, please consider volunteering to help; it’s fun and the children love having their parents there. Registration forms are available in the church office and below. Contact Pastor John Smoke at john@dgfumc.org with any questions or for more information. Due to overwhelming demand, the cooking team of Don Safford, Bill Chalberg and Susan Newman will be back for a Home Cookin’ encore. All are invited to join us for this special family meal between 5:00 - 6:30 p.m. This meal is always awesome and the fellowship is fantastic! Cost is only $6 a meal…the great fellowship is free! Please register by emailing John Smoke at john@dgfumc.org. You may pay that day. Get Messy Early in April! 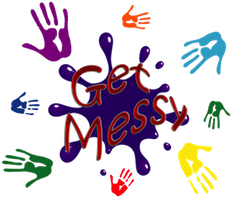 Messy Church will be on the first Sunday of the month on April 2 at 11:00AM in the Gym, so please be prepared to get messy earlier than usual. If you registered to attend but can no longer do so, please contact John Smoke. Getting Messy is an opportunity for children along with their families to be active, creative, and lively! There will be a time to make crafts as a family, a short (and lively) time of gathering, and a family friendly lunch. This month, Messy Church is about Easter and how Jesus's love remains in all of us. If you have never been before, don’t worry about getting messy, or being too loud, or squirming too much…just come and have fun with your family! There is no cost but if you know you are coming, please register using the form on the Get Messy web page. If it's a last-minute decision, just show up. Everyone is welcome to Get Messy! Read more about Get Messy Early in April! Grab your favorite basket and hop on over to hunt for eggs inside DGFUMC! All children ages 3-12 are invited to join us. Bring the entire family and a friend or two and enjoy refreshments and fellowship following the hunt. The fun begins in the sanctuary at 9:00 sharp so don’t be late! Please note as of May 22, Summer Camp is full. We have started a waitlist in case openings arise. Camp lasts only one week, but what campers take home can last a lifetime. This summer, our campers will learn they can take that camp=feeling with them everywhere they go because they are connected to one another and to God by Christ. 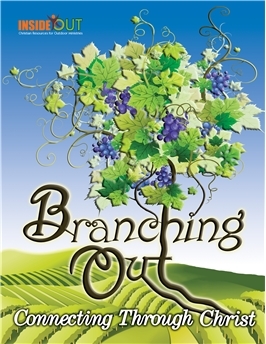 The Bible stories in Branching Out encourage campers to use prayer, relationships, family and more to stay connected throughout their lives. DGFUMC is offering this summer camp experience for children and youth from 2nd to 9th grade at the Wesley Woods Conference Center, Williams Bay, WI from June 26-30. The grade listed is the grade the student will be entering in the fall of 2017. Please note: there is a registration deadline of June 1. A $50 deposit is due at the time of registration with payment in full due by June 26. 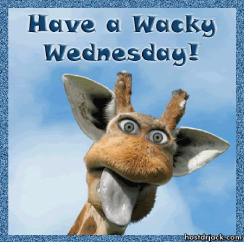 Wacky Wednesdays is a summer program for children going into 1st grade through 6th grade! The mission of this program is to bring children together for a lot of fun and fellowship in a church community. Every child is welcome. Invite your children, grandchildren, children in your neighborhood, and children of friends---ALL CHILDREN ARE WELCOME! The program will meet on Wednesdays from 6:30 PM to 8:00 PM and there is NO cost! Parents are welcome to drop off their kids OR stay and enjoy the fun! Children are encouraged to bring some extra change or a dollar that will all go to support our Imagine NO Malaria fundraising efforts. July 6: Let’s Dance! 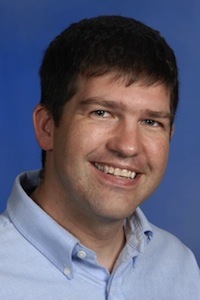 Coach Josh from the Downers Grove Park District will be our DJ for the evening. There will be great music, fun games, lots of dancing, lemonade, and other treats! July 13: Bingo Night and Toy Exchange! Every child that attends this evening will need to bring a used (still in good condition) toy that they would be willing to give up. All of the toys will be used as prizes for the bingo! Everyone will leave with a “new” toy!!! July 27: Water Fun! Let’s finish off the season of Wacky Wednesdays with some fun with water! There will be a variety of activities involving water including a water slide!!! Families are encouraged to come and join in the fun! Please come to one Wednesday or come each week - whatever fits in your schedule! For more information contact John Smoke at john@dgfumc.org or 630.968.7120. 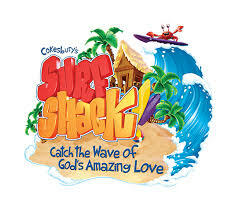 Join us this August for Surf Shack VBS where kids will plunge into the incredible experience of knowing God. They will encounter God's awesomeness through Bible stories of the amazing ways God has moved in the lives of others before embarking on the breathtaking adventure of participating in God's love. Along with the Bible story, there will be stations of music, games, computer, art, snack, science and group building. Children entering Kindergarten through 6th grade are invited to attend. The cost is $15 per child or $35 per family with 3 or more children. Cost includes all materials and a pizza lunch with a short program for families on Thursday, August 4, at noon.